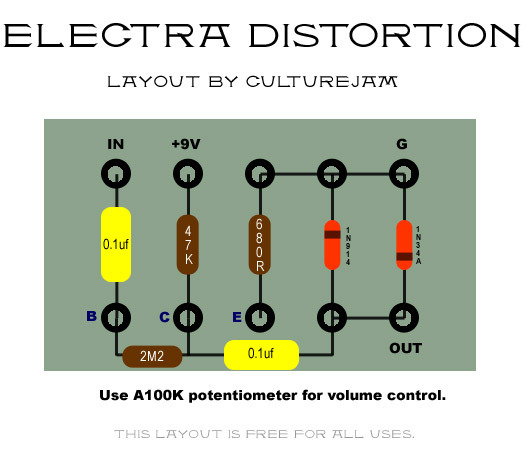 Several people have asked me to repost my older layouts for the often copied (and frequently sold for big bucks) Electra Distortion circuit. 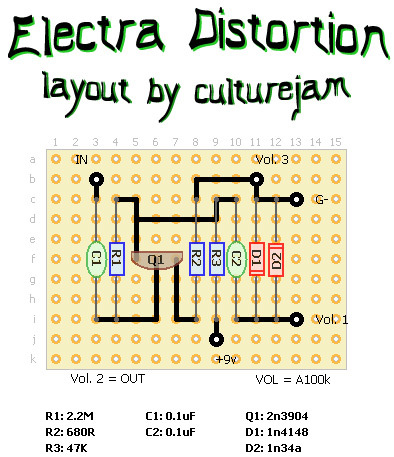 This is a surprisingly good-sounding circuit for so few components. No fancy parts needed; just a fun little circuit that swings way above its weight. The name is a little mislead, though. It’s really not a distortion in the modern sense of the word. At best, it’s a medium overdrive gain-wise. 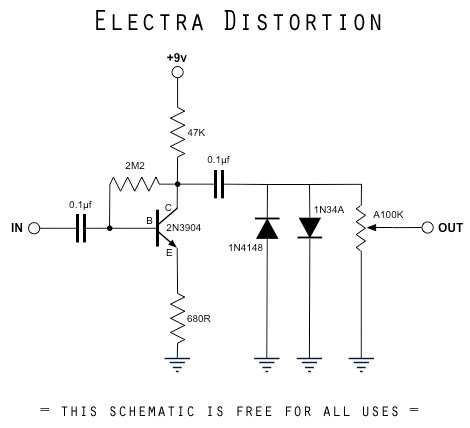 My old schematic drawing and two different DIY layouts for the Electra Distortion are posted below. One is for perf board and the other is for building the Electra on an eyelet, turret, or strip board. If you like simplicity and great tone, also check out my Bazz Fuss project.